Invoice history based on 140 reviews. 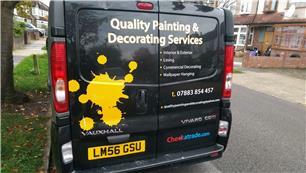 We provide an excellent quality and quick service with competitive prices. With more than 15 years experience our extensive knowledge and efficiency enables us to offer our customers all kinds of renovation works, interior and exterior, by qualified craftsman. Our service is friendly,clean and tidy.